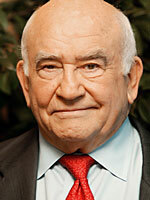 I’m very excited to announce that film and television star, Ed Asner, will play Benjamin Franklin in a miniseries I’m writing on Franklin’s troubled personal life during the American Revolution. He all but abandoned his common-law wife, Deborah, spending most of his time in London, even failing to sail home to see her when she was on her deathbed; his (illegitimate) son William Franklin betrayed his father’s fierce patriotism becoming a Loyalist during the war. We’re hoping to set the project up as a cable television series at HBO or Showtime in the next year. TEXAS HEART GOES OUT TO FESTIVALS! Texas Heart has been submitted to the following festivals: Austin Film Festival, Toronto Independent Film Festival, Charleston Int’l Film Festival, St. Louis Int’l Film Festival, Lone Star Film Fest, Savannah Film Fest, and Denver Film Fest. Look here for updates!